UK vectors design pack with United Kingdom flag decorated with design elements. 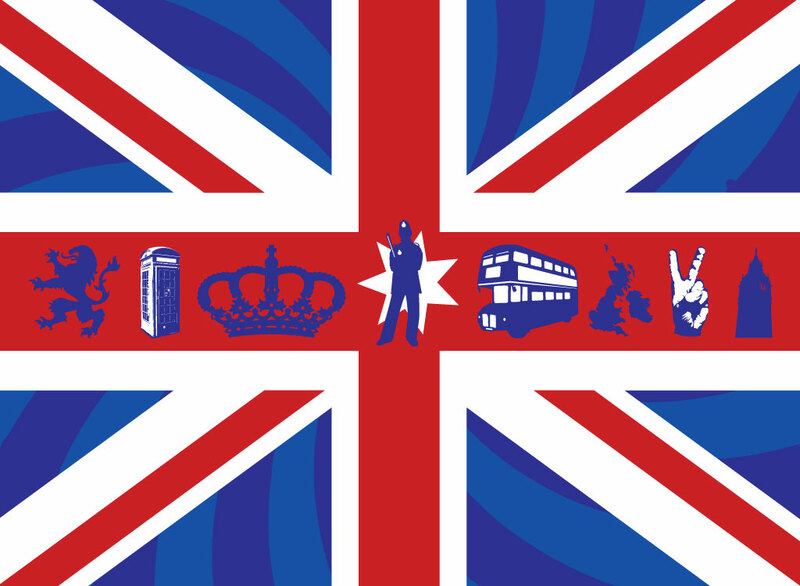 Download this cool UK themed design with Union Flag background, Big Ben tower, V-sign, United Kingdom map, double-decker bus, London cop, royal crown, phone booth and British Lion. Tags: Big Ben, Crown, England, Flag, Lion, Phone Booth, Royal, Uk, United Kingdom.